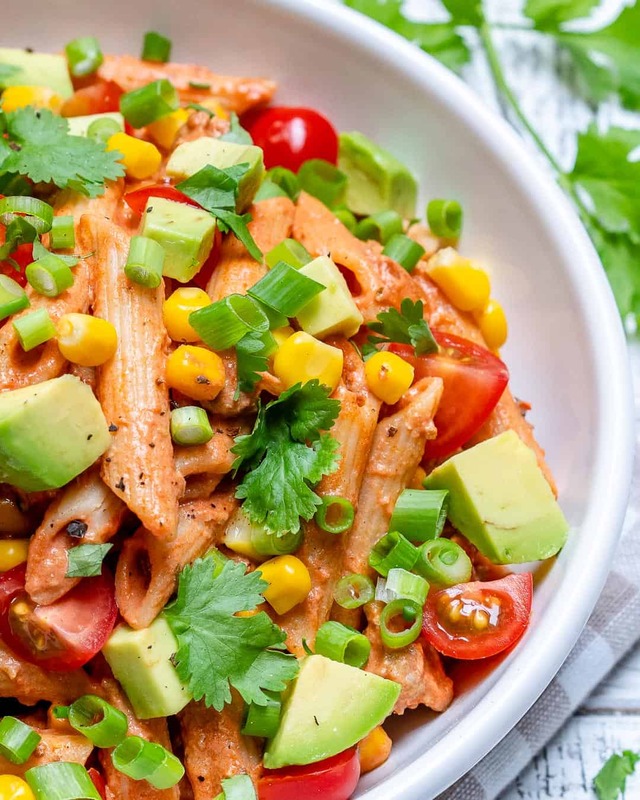 This Taco Pasta Salad is a comforting and delicious meal that your whole family will enjoy. 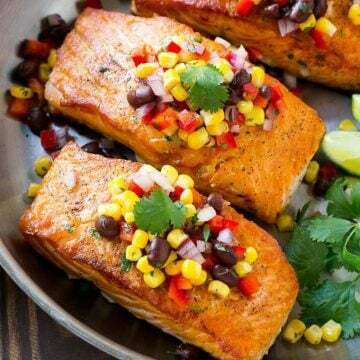 It is creamy, filling, and has a burst of Mexican flavors. Making this Taco Pasta Salad is easy and fun. 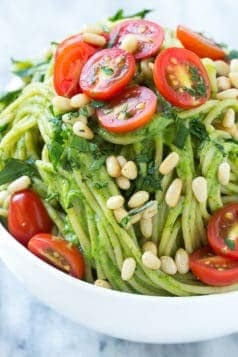 You will love all the feel-good flavors of this pasta dish. 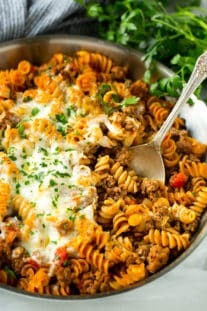 If you crave Tacos you will love this Taco Pasta. 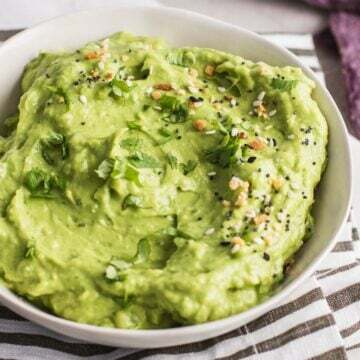 If you are making a huge batch of this recipe for later, don’t add the avocados until you are ready to have some. 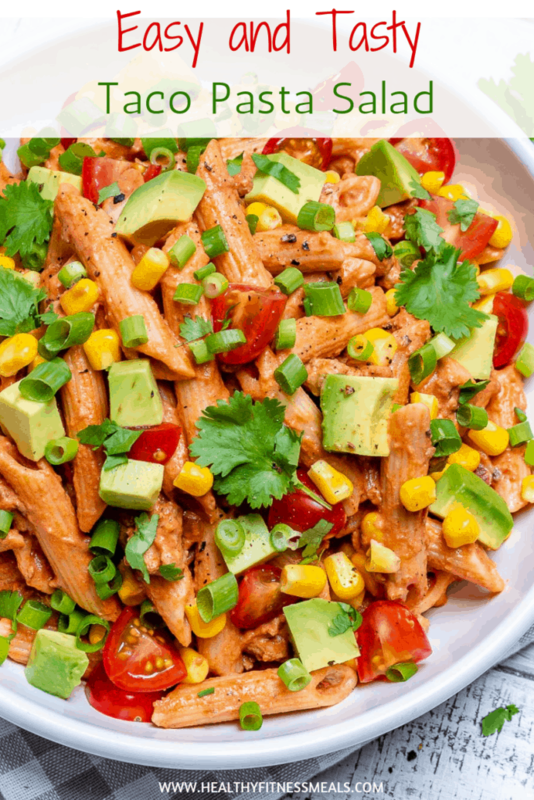 Depending on how you prepare your taco pasta salad will determine whether it is good for you. It is best if you cook your own meals at home because you get to determine what goes in your meal. 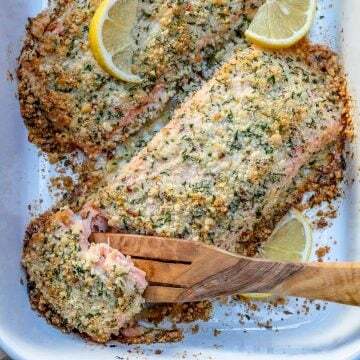 You can use extra lean meat for example. Swap oils for healthier options like olive oil or avocado oil. 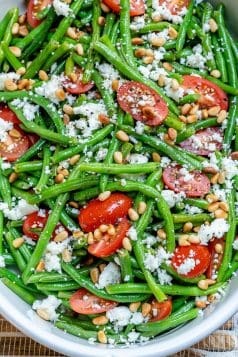 Also, for this pasta salad, I use whole wheat pasta. So it will depend on what ingredients you use to make your dish. 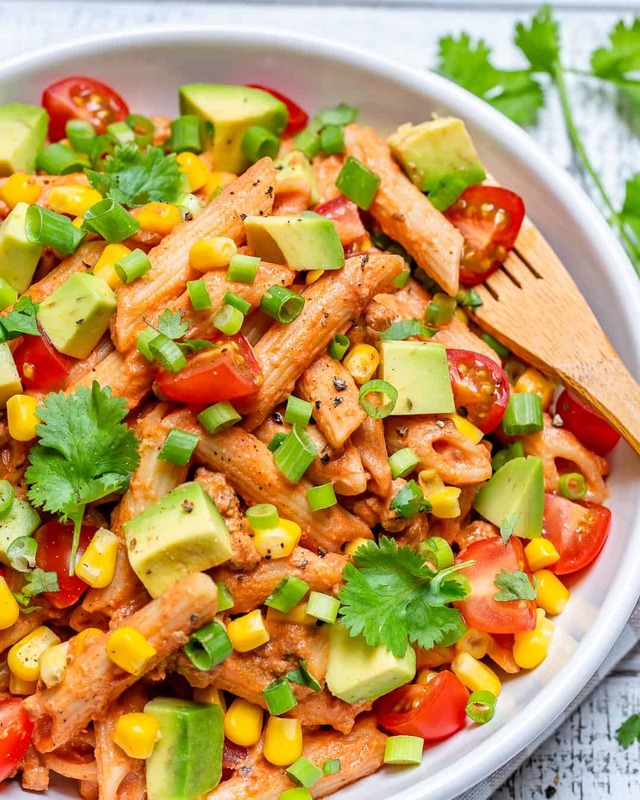 You can get as creative as you like for this Taco Pasta Salad Dish. 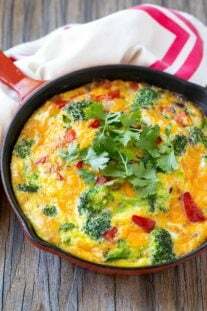 I used green onions, corn, avocado, cilantro, and fresh tomatoes. 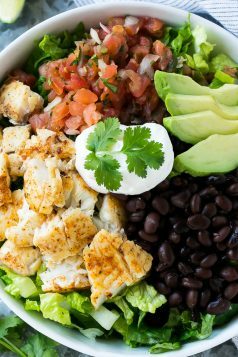 You can add some black beans if you like, which I didn’t because it already has enough carbs, or you can even add some sliced jalapenos for a little zing. 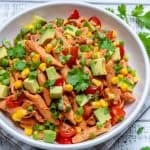 I would love to know if you made this Taco Pasta Salad Recipe and what your thoughts were. Leave me a comment below and don’t forget to show me on Instagram if you happen to take any pics of your masterpiece! 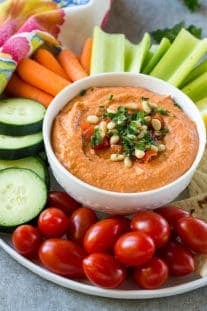 Hungry for more delicious recipes? 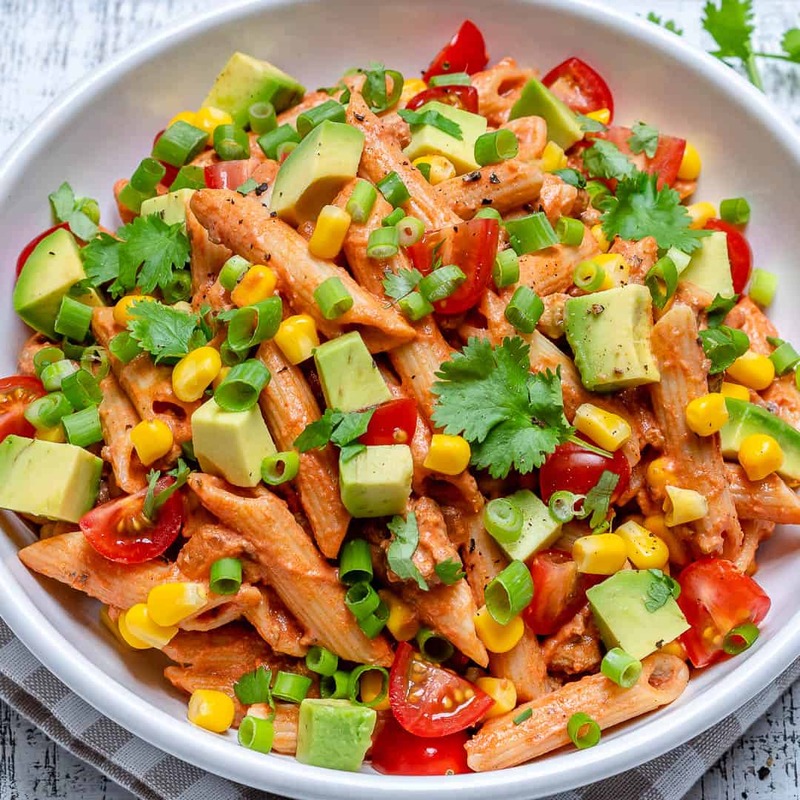 Remember to subscribe to my NEWSLETTER for free and receive all my new recipes like this Taco Pasta Salad Recipe delivered right to your inbox! 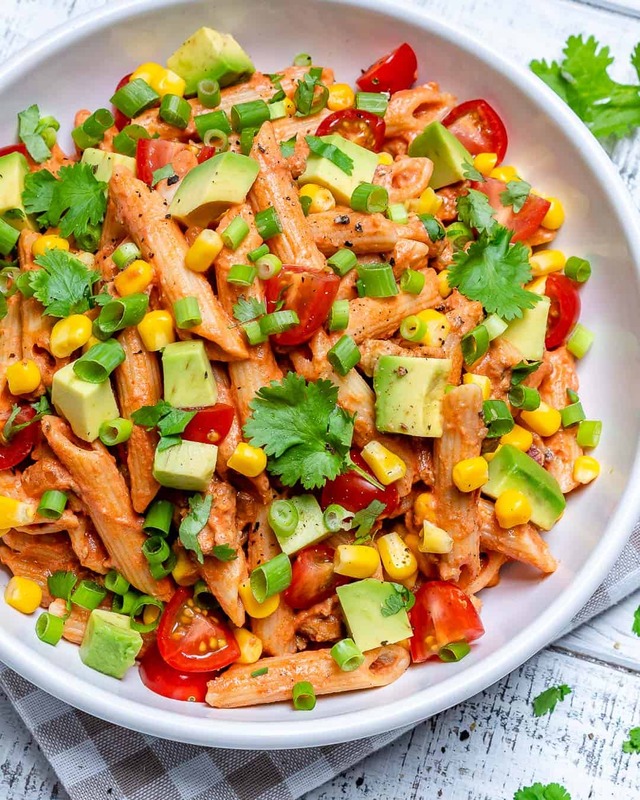 Mexican flavored Pasta recipe that is creamy and perfect for a huge family gathering. In a large pot with salted water cook pasta according to package directions. Meanwhile, heat oil in a large pan over medium-high heat. 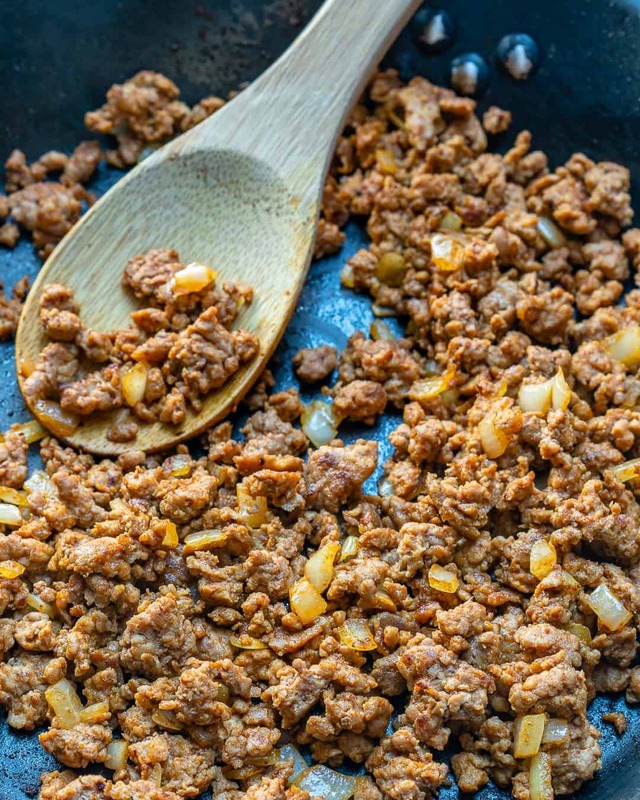 Add the ground turkey and break up with a spatula as it cooks. Stir in the onion and cook for about 5 minutes, or until meat is browned and cooked through, and onion is tender. 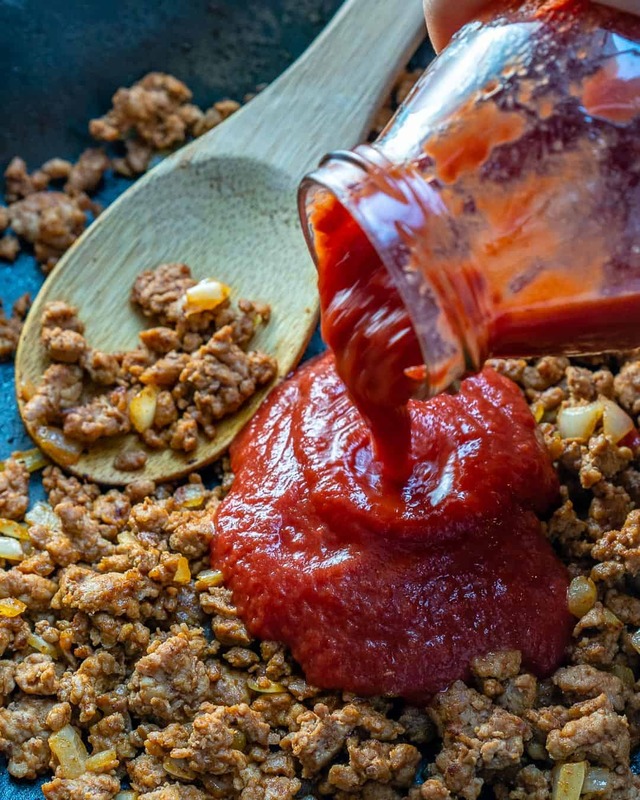 Add the crushed tomatoes and taco seasoning and stir to combine. Add in the cooked pasta, sour cream and cheddar cheese to the pan. Cook, stirring constantly until cheese is melted. 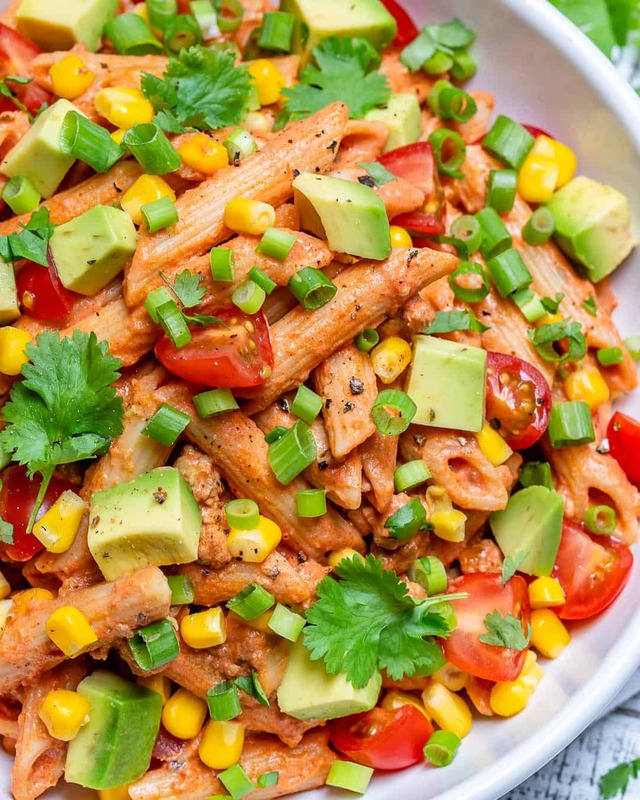 Garnish with fresh chopped tomatoes, corn, avocado and cilantro. Please note that the nutrition label is just a rough estimate based on an online nutrition calculator I used. 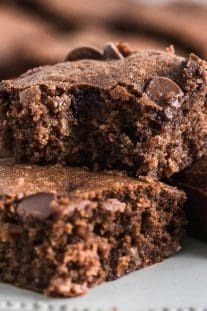 It will vary based on the specific ingredients you use making the recipe. Values may vary. 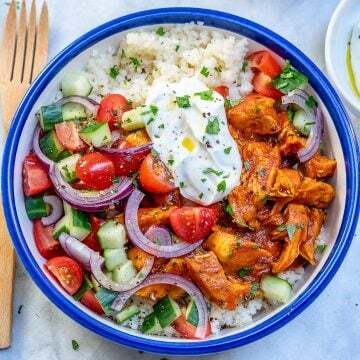 You may use greek yogurt instead of sour cream. Taste may vary slightly. 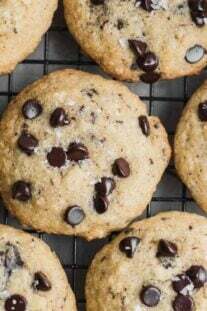 Thank you so much for sharing a recipe with us.i hope I can make like you!! !